Check all electrical outlets for loose-fitting plugs and look for burn marks at the main electrical panel. Check all ground fault circuit interrupter-type outlets. Repair all cracked, broken, or uneven driveways and walks for a level surface. Make sure the light bulbs in all your fixtures are the correct wattage. Consider installing a lightning-protection system on your home. Protect electrical appliances from power surges by installing surge protectors. 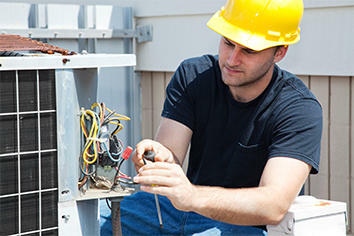 Have a professional air-conditioning contractor inspect and maintain your system as recommended by the manufacturer. Check for roof deterioration before summer thunderstorms begin. Run through a severe-weather drill with your family. Clean clothes dryer exhaust duct, damper, and space under the dryer. Check the sump pump for proper operation. Consider installing a battery backup for the sump pump if you don’t already have one. Replace all extension cords that have become brittle or worn. Inspect and clean the covers of smoke and carbon monoxide alarms. 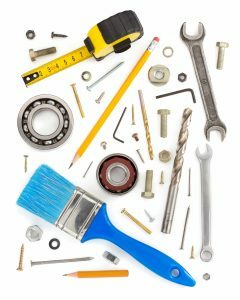 To find out how the Tuckey Companies can assist you with any of these areas, e-mail info@tuckey.com or give us a call at (717) 689-4562. Recommendations adapted from the State Farm Insurance Handbook.